Sage 300 2016 is out. With this release comes the first installment of a product that Sage announced at least three years ago, dubbed Sage 300c. It’s a fully web-based version of the product (no OCX controls) that runs across many platforms including tablets and phones. At this time, only financial modules (GL, AP, AR) have been released in this version. Other functionality is still available in the standard interface. This web product apparently cannot coexist with the Portal, since it and the Portal use the same database. It is only available on a subscription model. Existing Sage 300 customers will receive something of a discount, but it still has added cost. Since only financials are out, the product doesn’t address the need for field order entry, etc. Based on the time from announcement to release of this product, it’s hard to say when the other modules will be out. The original discussions seemed to indicate that Sage was planning to release “pieces” of the other applications such as an Order Entry screen that could be used from the new platform, but the code for that isn’t out yet. Not all the functionality in Sage 300 is ported directly to 300c. A trainer on the What’s New partner videos said something like, “The functionality within these web screens is more or less similar to the regular interface.” Not sure whether he meant more or less. Suffice it to say that there’s no official Sage feature-by-feature comparison of the products. Many of you won’t care at all about this, but since a client raised the question, I thought it was interesting and hadn’t realized it before. 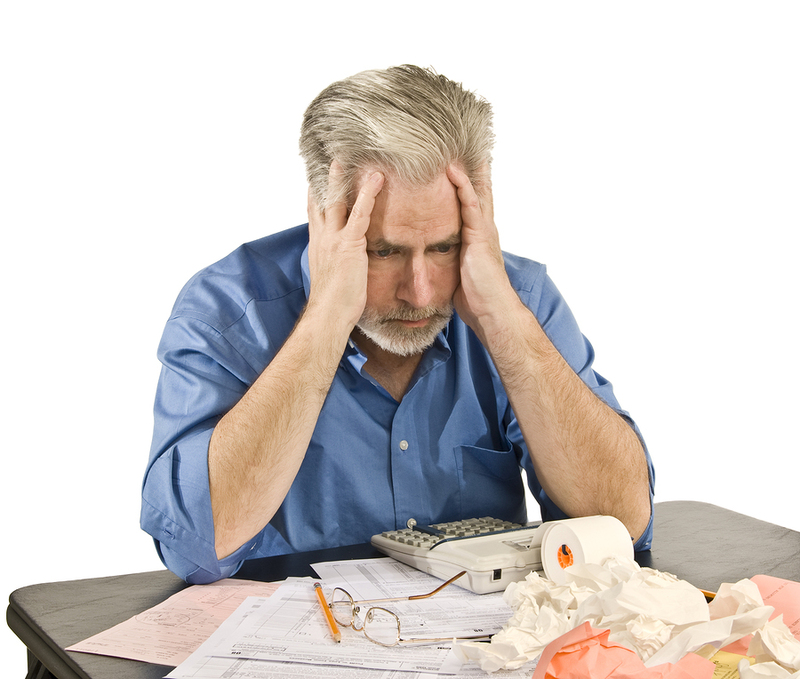 CPAs pay attention–one of you messed this up and generated a question from a client. Single individuals that earn over $200,000 have an extra 0.9% Medicare tax added to their Medicare withholding. Married individuals have the extra Medicare tax added for wages over $250,000. Why, one of our clients asked, does a married individual get the 0.9% deducted when they make over $200,000. Something must be wrong with the tax software. Nope. See https://www.irs.gov/Businesses/Small-Businesses-&-Self-Employed/Questions-and-Answers-for-the-Additional-Medicare-Tax, specifically the answer to question #11. Everyone gets the extra 0.9% withheld at $200,000. Married folk get it back when they file their tax return. That’s the IRS for you! Of course, most of us would like to have this problem, wouldn’t we? This time of year always brings out the new upgrades, tax upgrades, last minute IRS changes in tax tables, and customer concerns about how to proceed for the end of the year. This year, there are several changes that we want to make sure payroll users know about. The W-2 for 2015 has several codes that you may not have noticed in prior years, although they were there for the 2014 W-2 form. Chief among them is the Box 12 DD code, which requires reporting of the cost of Employer Provided Healthcare coverage. As of today, the IRS ACA W-2 reporting page indicates that this is not required for employers who filed fewer than 250 W-2 forms in the prior year (2014 forms given to employees in January 2015). At least many employers will dodge that bullet. The original interim guidance IR-2011-31 provided that this was the case until the IRS issued further guidance; since that guidance could come at any time, it might be a good idea to think about setting up a way to collect this cost in your payroll system. There are also several codes that have been on the W-2 for several years that you might want to review. Particularly if your company pays into a retirement account. There are codes for Roth, 401(k), 403(b), etc. Contact your CPA or tax advisor if you think any of these might be applicable. And contact DGG for help in setting these up in Payroll. The new kid on the street is the 1095. All employers with 50 or more employees (or full-time equivalent employees) must file the 1095-C. The summary or transmittal form that goes with it is the 1094-C (like the W-3 for the W-2). This form will either be very easy to fill out (if you offered the healthcare coverage the ACA requires, and offered it to all employees), or will require you to go through employee by employee to decide how to complete the form. Most payroll systems we have seen are making some provision for completing these forms. However, the information needed to complete the form isn’t all in most payroll systems. In particular, some systems are adding the ability to produce this form late in the year, which means that in all likelihood, you’ll have to research and enter at least some of it. If you produce your own payroll and haven’t heard from whoever does your support, you might want to consider contacting them. Contact us if you need a push in the right direction. 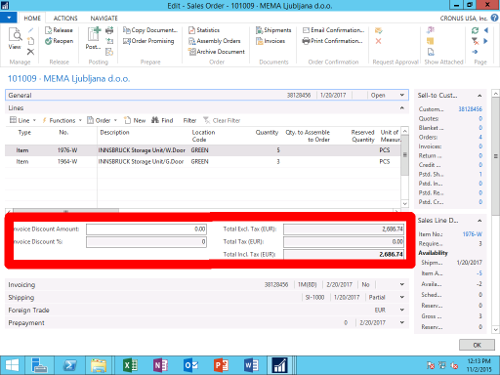 Dynamics NAV 2016 – It’s Here! This post is about the trend we see in the last few updates. When NAV 2009 was announced, Microsoft made it clear that it was intended as a transition version. The old “classic” interface was going to be phased out, and the new Role Tailored Client (RTC) was being phased in. For the 2009 version, customers could choose to use either the RTC or the classic interface. After 2009 R2, the 2013 version would implement only the RTC. Also, the strategy was that 2009 brought a few improvements. Future versions would pack in the features. Improvements under the surface in the plumbing technology would be made as well. In 2009, the strategy was to improve the plumbing with the promise that future versions would pack on the features. Now we have the 2016 version. If you’re a current user, don’t get too excited; the upgrade toolkit that converts data and other items won’t be out for a bit yet. We’re expecting to see it at the first of the year. But what we do see is that the newer versions are following the trend we predicted when 2009 came out. There were a few new features in 2013; more new features in 2015; 2016 version brings even more. So here’s a sentence about two or three of the features we like the best. I’ll start with a simple one. In the previous versions, to see the total of a document (purchase order, sales quote, etc.) including or excluding tax, you pressed F9 (Statistics). In 2016, it’s right there below the details of the invoice, quote or order. As you enter the line items, the totals update. This includes discounts, tax, and item totals. See below. Deferrals allow you to spread payments over several accounting periods automatically. The insurance you pay for in November can be spread to the next 12 months. Posting Preview shows you the GL and other entries that will be generated by sales and purchase document posting as well as General Journal posting. Microsoft Word can now be used to change report layouts. Excel and Word integration has improved. Import and export have improved. Document Workflow is more functional, and paperless processing is possible. And I didn’t even mention that now there’s an app that runs on Android and iOS versions to allow remote access to the system. And that’s just a taste of the things we’re discovering. More as we dig in. Last week, Sage released the newest version of its Sage 300 product. According to the “What’s New” document, the 2016 version will include some minor functionality changes as well as browser-only versions of key screens (user interface elements). This is a complete rewrite of the user interface, and while not all functions can be completed through this interface, it looks like a major upgrade in the browser-based version of the product. Technical users generally understand that saying that a product has a “browser” or “web” interface doesn’t necessarily mean that it runs only over the Internet or in the “Cloud.” In the case of Sage 300, the product has a version that runs in a web browser. It works on a server “on premise,” or (theoretically) in the Cloud. Trouble is, it only works natively with Internet Explorer. From a technical standpoint, the previous browser-based product used OCX controls which Internet Explorer could run. Having OCX controls meant that the HTML (browser language) was just a wrapper, and that relatively large OCX files had to be transferred to the workstation for the product to run. It is actually a pretty nice implementation of a web browser only interface given the technology at the point Sage started uilding the web interface. What we have now is a NATIVE web interface for at least part of the product. This means faster, easier, and more flexible. Many of the tools Sage is using are public domain, and best-in-class. This means an exciting future for the product; Sage pouring R & D dollars into a rewrite, and choosing well-known tools to build it. Both of these are excellent signs. As we install the new version and put it through its paces, we’ll post some of the more interesting things we find.